I received copy of Dracul in exchange for a fair review. I do think this novel was really interesting, but I was not convinced by parts of it. The synopsis sounded super though and that made it hard for me to push through the first few chapters. I give Dracul by Dacre Stoker & J.D. Barker three out of five hearts because I had a hard time reading parts of this novel. There were parts where I raced through because I liked them and parts where I felt like I was struggling through honey or something. The story is mostly focused on Bram as an adult and as a child. In his childhood, his sister Mathida is there to change things up, but the chapters for Bram as an adult spend too much time on trying to stay unclear and holding up tension. I loved Bram and Mathilda as children, they are curious and when they fall into a mystery they dive in head first. Their caretaker Ellen is very interesting, she is caring and does everything to keep the sickly Bram alive, but even though his parents know they are willing to lie to keep the children safe. The two storylines come together in the end, but I felt the present storyline was much too long and only the length of the past storyline felt like the right length. For a book with over 500 pages, it was much too long and I felt really hurt that the storyline only game together by the end and I had been annoyed with the book for almost 200 pages. Overall I think the story could have done with less adult Bram and it would have been a better novel. The overall story is good and the characters are good. If I could give a rating for each of the storylines I would give the child Bram five hearts and adult Bram two hearts. But since I only hand out one rating for each book, I thought three hearts is correct. 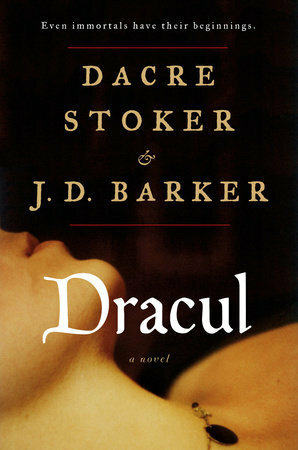 This entry was posted in Book Review and tagged Book Review, Dacre Stoker, Drama, Fantasy, Horror, J.D. Barker, Mystery. Bookmark the permalink.